Mirrors are one of the best home decor accessories you can have. Not only do they brighten a room but they can add to an existing theme. This round black wall mirror is ideal for displaying in the living room or hallway and will make an excellent bathroom mirror. 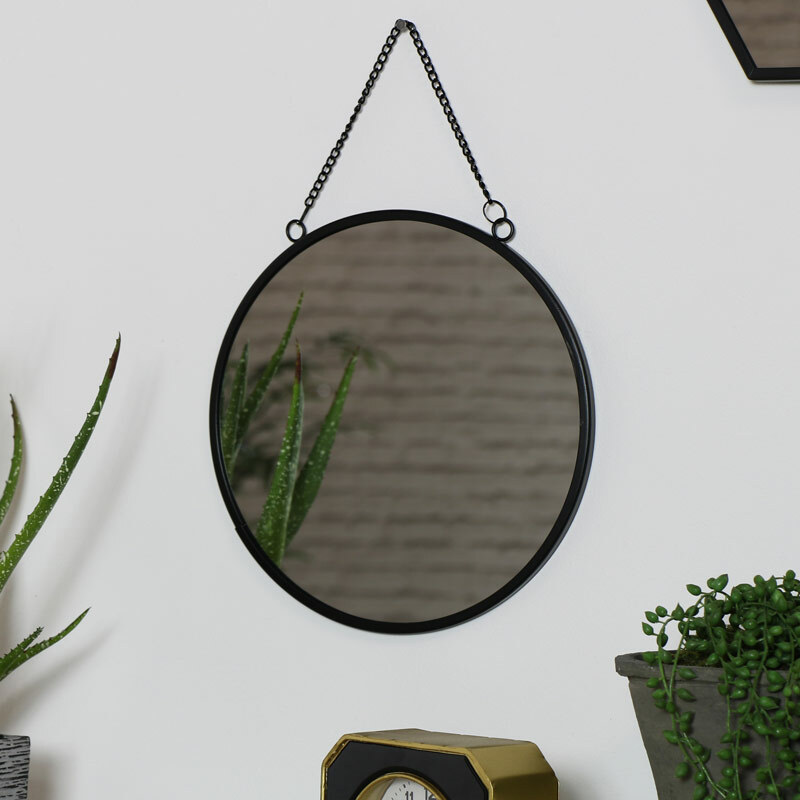 The mirror comes with an eye catching round black metal frame and is suspended from a black metal chain. This mirror will easily fit in with rustic, retro, industrial and modern interiors. This mirror offers a great look for any interior and will fit in with most colour schemes with many more mirrors available for you to choose from. 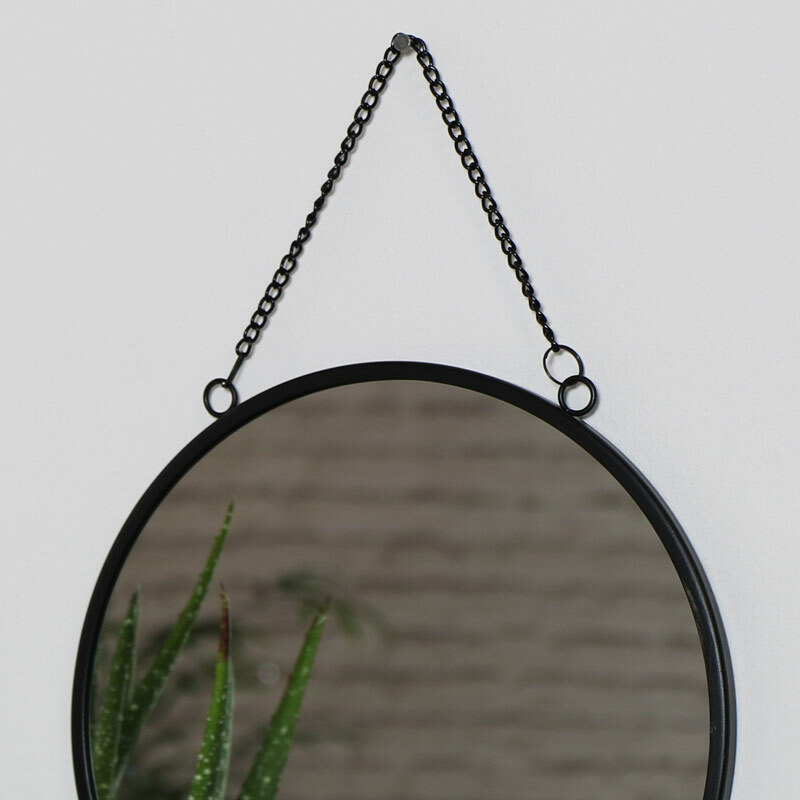 Circular mirror inside a black painted metal frame. Easily wall mounted from the black metal chain.